Kyrgyzstan’s air carriers will be allowed to fly to Europe from 2019, the country’s minister of transport and roads, Zhamshitbek Kalilov, announced at a meeting of the parliamentary committee on transport, communications, architecture, and construction, as reported by the Kyrgyz newspaper Tazabek. Earlier, it was expected that the Kyrgyz airlines would be removed from the European Union’s air safety list (the so-called blacklist) in 2017. According to Kalilov, ICAO senior officers visited Kyrgyzstan earlier this year. Together with the country’s Transport and Roads Ministry, the organization created a step-by-step plan for taking the local air carriers off the blacklist. The Kyrgyz Civil Aviation Agency has already started to implement the plan. “We have already completed 96% of the plan. If we continue to follow it, we will get an [air safety] certificate by the end of 2018 and will be off the blacklist in 2019,” Kalilov explained. Kyrgyzstan has been cooperating with the International Air Transport Association (IATA) on flight safety and on the adoption of new technologies to streamline business processes. Under a memorandum of understanding signed in 2016, IATA committed itself to assisting Kyrgyzstan with enhancing the country’s airport infrastructure and air traffic management system. Cooperation with IATA is of extreme significance to Kyrgyz civil aviation, seeing as none of Kyrgyzstan’s air carries currently holds an IOSA certificate that confirms compliance with high flight safety standards. 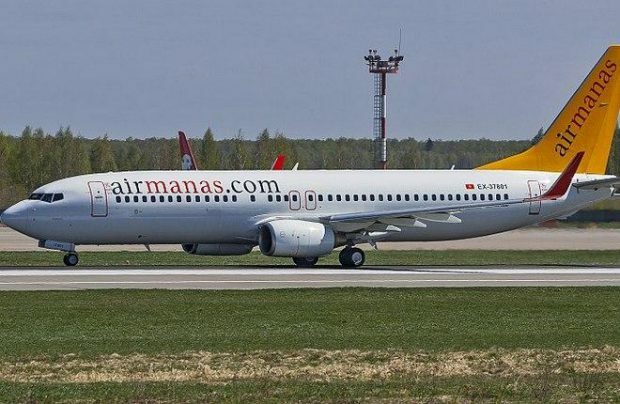 Bishkek-based LCC Air Manas has been working to obtain such a certificate. Kyrgyzstan also collaborates with the aviation authorities of several countries to exchange best practices, improve personnel competence, and obtain advice on the implementation of ICAO standards. Kyrgyzstan’s 13 air carriers have been on the European Commission’s blacklist since 2006. These include Air Manas, Air Bishkek, Avia Traffic Company, and Air Kyrgyzstan. The ban on flights to and from Europe impedes their development. Another CIS member state, Kazakhstan, had all its air carriers removed from the EC blacklist at the end of 2016. It had taken the country five years to improve flight safety. The Kazakh authorities used the advice of CAAi, a consultancy that is part of the UK’s Civil Aviation Authority.